Shortly after the end of World War I, my dad and his mom moved from Brooklyn to Northern California. Several relatives lived in Berkeley and Oakland, and my dad and grandmother headed west to join them. The photo above was taken in Berkeley on April 15, 1918. My dad is fifteen. My mom would be born almost exactly one year later. 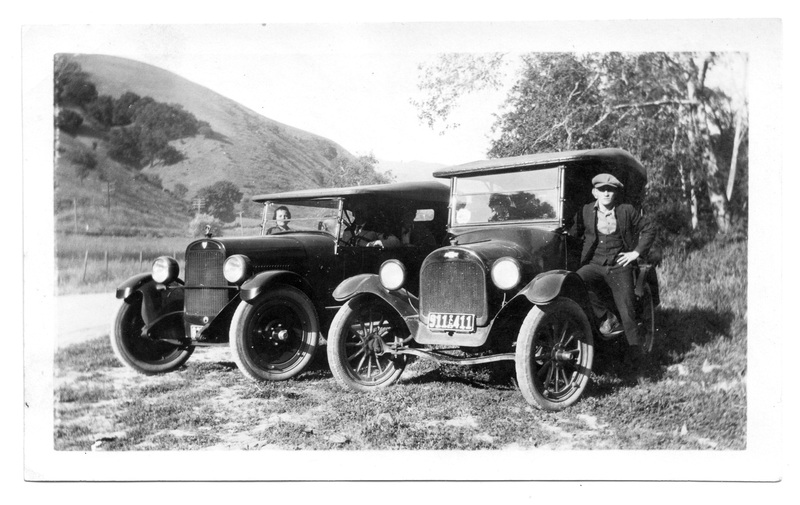 A road trip in the early 1920s must have been an adventure. The mass-produced automobile was younger than the Apple Macintosh is today. California wasn’t yet the land of freeways with motels at every exit. 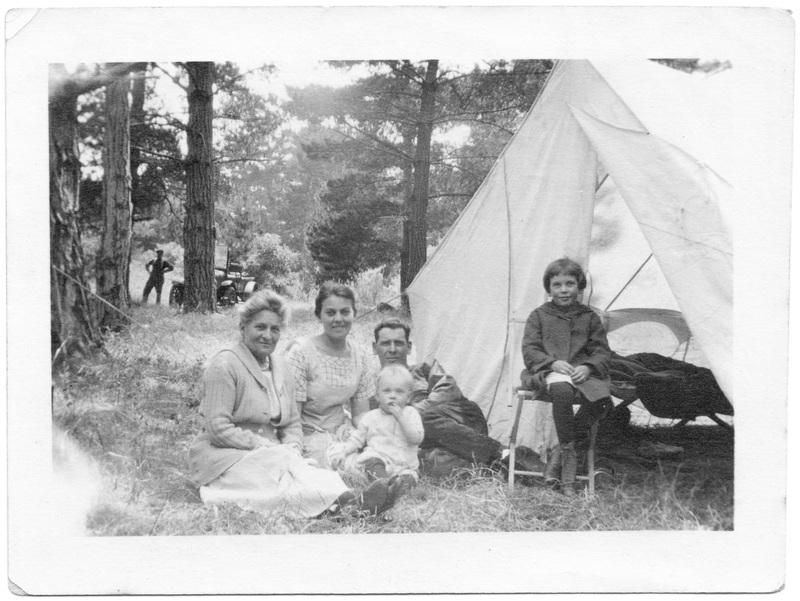 Thus, camping—and scenes like the ones above and below, both taken on Memorial Day of 1921 in the Del Monte Forest near Pacific Grove, Monterey County. For a kid raised in Brooklyn, California’s wide open spaces must have been exhilarating, a metaphor for endless possibility. In the 1923 photo below, my dad wears a confident pose. And why shouldn’t he? He’s 21 and living in a new frontier at the dawn of a prosperous decade. The future was as bright as the California sun.